Quality inspections and daily work reports using smartphones. 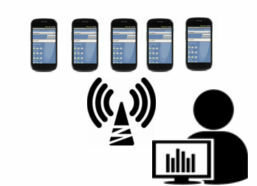 Mobile reporting solutions for a wide range of applications. Integrate and extend your Project Management insight. 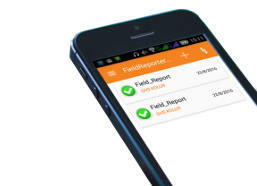 FieldReports can integrate with Microsoft® Project, simplifying projects tracking based on actual daily work reports. Field Reports is a mobile software suite for field data collection such as site inspections, checklists, surveys, verification and more. Flexibility to work in any environment, even beyond network coverage. 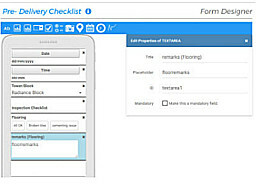 Create your own mobile data entry forms using a drag & drop designer. 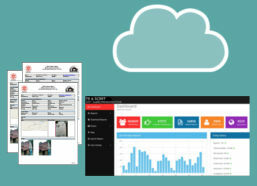 Manage users, devices and permissions for field staff of any size. Field reporter addin to Microsoft MS Project, extends tasks into assignments that field personnel could report on. With Field Reports, % completion of any task is supported up by proof of work/ delivery. Field Reports offers ready connectors for most common RDBMS databases as well as noSQL types. Field Reports data connectors work both way: picking up data to assign to mobile users, or storing the report data into databases. For smaller operations, google spreadsheets, can work wonders. Field reports can use google sheets for form data as well as final report destination. Further notification and mashup capabilities of google sheet itself can be leveraged for a lot of office automation.